The Good Sam Club has released dates and locations for two of its major rallies in 2013. 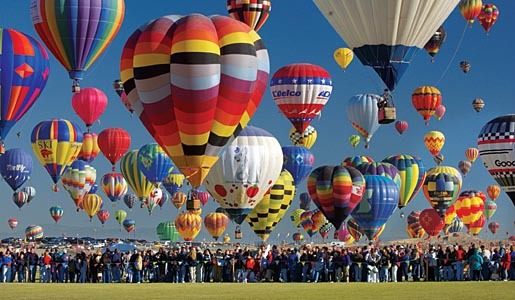 The early spring RV rally will be held on April 11-14 on the Balloon Fiesta Field in Albuquerque New Mexico. The early summer rally will be held June 13 to 16 in Syracuse, New York, at the New York State Fairgrounds. Good Sams hopes to repeat the successes of the Phoenix rally early this spring and the Louisville rally last month. The last rally of 2012 will be held at the Daytona International Speedway in Daytona Florida. Reservations are still being accepted for this November 2-4 rally. Entertainment includes country superstar Reba McEntire and American Idol’s Katharine McPhee. “With an exciting location like the Daytona International Speedway, the outstanding entertainment, not to mention all of the great rally activities, we are expecting a big turnout and a great time for all of our guests,” said Marcus Lemonis, chairman and CEO of the Good Sam Club and Camping World Inc.
Not a great date for the rally why would you put yours one week from the FMCA . I know you think being before you will capture the people but not so sure you will capture all them or the vendors. Maybe a month apart would have been the sensible thing to do.I know where we will be attending the FMCA as a vendor but we normally do all of yours as well . Someone should have known this FMCA dates have been out much longer. July or August would have been a better month.